Mod I made for TTW, contains a great many new armors all added to leveled lists and what have you. Dragbody - Multiple armors and texture usage. Cross asset integration is pretty much completed for now. 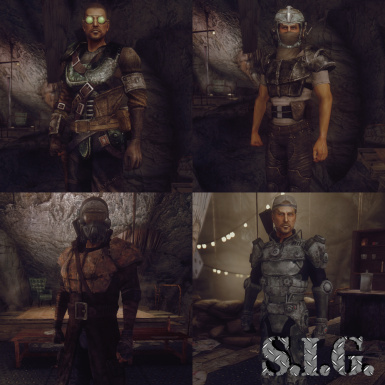 Added Viper Gang specific armors and modified their weapon/armor lists. Gave Vipers a chance for headgear. 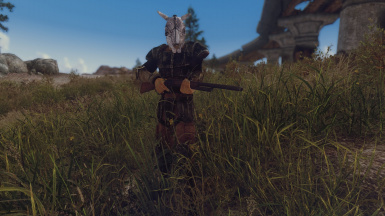 Added Regulator specific armors and modified their weapon/armor lists. Placed some items in the game world. Converted some meshes to texture sets in order to conserve file size a bit. Modified stats of some armors. -Went through every weapon and double checked pretty much everything. Caught a couple of weapons that were causing CTDs, several that were animating wierd, missing attack sounds, held wrong, misplaced iron sights. Apart from any missing meshes or textures, there shouldn't be any bugs remaining in the weapons. Please continue to report any that I missed tho :D.
-Fixed several headgears that had the sideways alignment thing going on. -Added in reported missing meshes and textures. Renamed the casual outfits to more specific names. Updated with latest version of TTW. 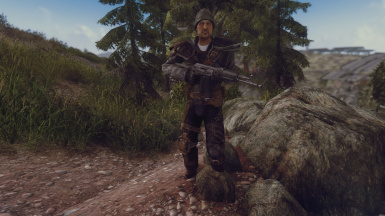 Added 3 perks, 2 geared towards medium armor, and one boosting homemade weapon damage. Added more recipes, all planned weapon recipes have been completed, still have some more armor recipes to add. Fixed an issue with one of the backpacks. Gave most new weapons repairlists so they can only be repaired with themselves like vanilla weapons. Some exceptions apply, most katanas can be cross repaired, homemade weapons can be repaired with their crafting components as well. 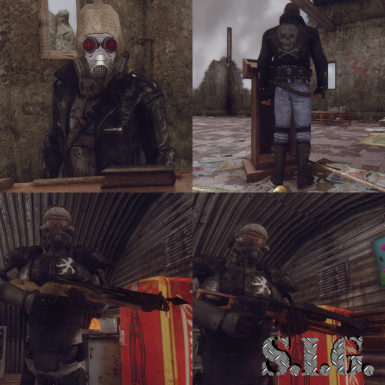 Added and expanded jackal armors, also added helmets. Modifed Viper armor LL, Leaders should in general have much stronger gear until later levels, when it should balance out with other vipers. This will be handled in the MCM menu later, but for now they have to be done manually. They are set to 20% for regulars and 40% for leaders by default. Made backpacks carry weight more varied, scales from 30-60, certain backpacks also add a small boost to a skill. Stronger backpacks will only appear at higher levels. Packed in all reported missing assets. Resolved a couple of bugs. Note *** a couple of bugs persist in the current version, only because I haven't had time to mess with them, these being the issues with the homemade missile launcher and laser rifle. S.I.G. is the new name for this mod! Happy new name everybody! !!! 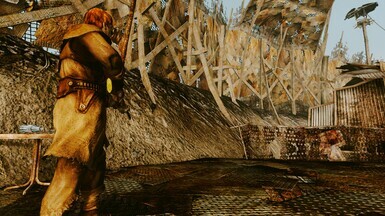 Mod Requires Tale of Two Wastelands. (TTW) !!! 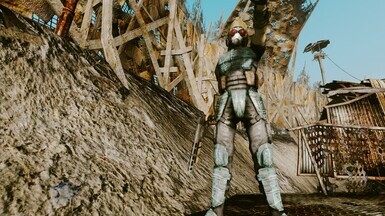 There are a lot of great armor mods on the Nexus, and with TTW the options are even greater, this mod combines dozens of armor and weapon mods into one comprehensive mod, adding the items to the leveled lists of various factions, balancing the items appropriately, converting F03 armors and weapons to New Vegas standards. All assets are used with author permission or free to use assets. I also made dozens of my own creations to add as well. I didn't put anything in Doc Mitchells. 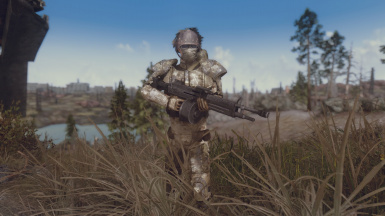 Currently in alpha phase, this mod contains well over a hundred new weapons, armor, and helmets, added to various leveled lists, greatly increasing the variety of armors and clothing. 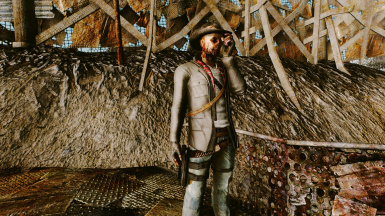 In it's current state, you should find plenty of items in both wastelands. 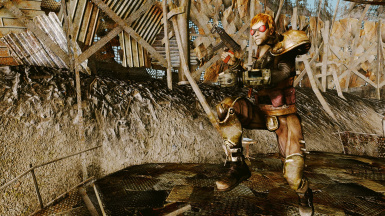 The weapons were mostly made with the raiders in mind, so it's alot of scrap, homemade weapons. I've also avoided any overlap with Project Nevada, Classic Fallout Weapons, or Weapons of the New Millenia. 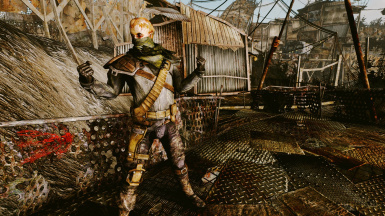 There are several new unique weapons, mostly placed in the Capital Wasteland. 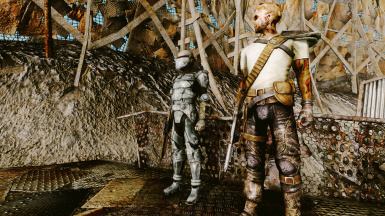 The armors are mostly mash ups and retextures, the armors are mostly added with the raider/wastelander in mind. There are also a number of "accessories": Backpacks, glasses, scarves, etc. 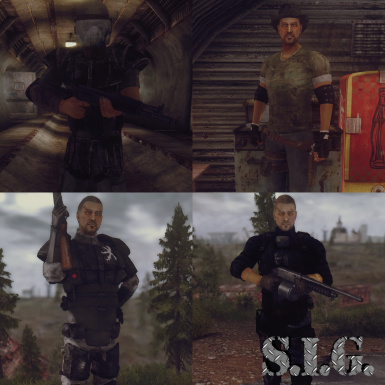 Almost all items were made using Fallout resources, so they should blend into the vanilla game well. 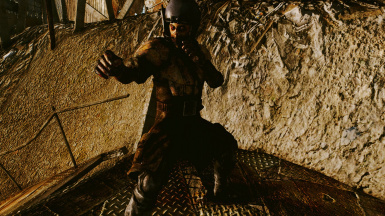 Weapons added by the mod all have 3 mods, melee included, however there aren't any mods added to the vendor lists or anything, so they can only be obtained if you have a mod like Weapon Mod Vending Machine or Vending Machines of the Wastes. Items have been added to raider leveled lists in DC. Talon Factions leveled lists changes are completed, several new Talon themed armors, and an expanded weapons list. 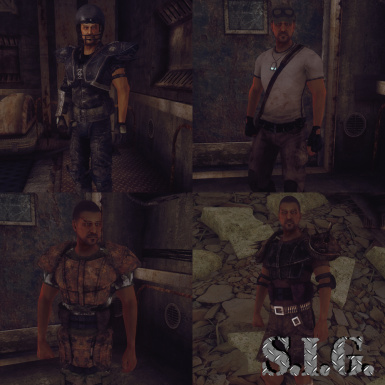 Appropriate armors have been added to various other leveled lists. Most recipes have been completed: Homemade weapons, armoring vault/jump suits. 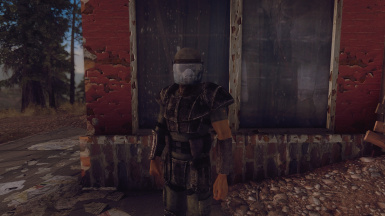 Once armored each vault suit has a unique object effect. 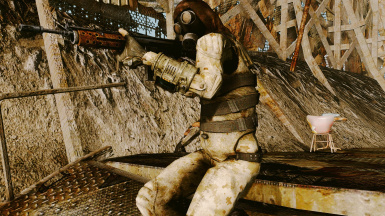 Vault jumpsuits can be upgraded multiple times, increasing it's strength across the board. Repair vanilla with new stuff formlists, this will be done via script, most of it's done, but I need to finish the weapons before I add it. Asset cross-integration: Is what I like to call it. Basically all the armors (almost) were made using vanilla assets, only retextured, so I'm going to apply the various textures to appropriate armor pieces and come up with some other variants. 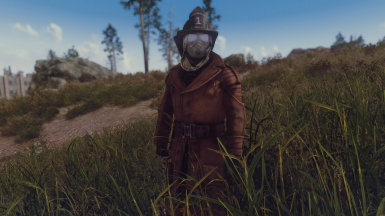 So an armor made using the jumpsuit, can come in 7 colors. 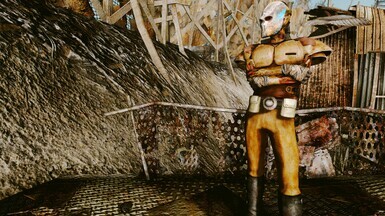 Some of these have already been added in v .2, the Raider Metal armors are rustier variants of the other metal armors. I can do this all in the geck, so it wont increase the file size much, which is pretty great. A FNV stand alone version. Possible: New crafting station to convert materials into armor materials (ala Skyrim). Ex: Convert dog hide into leather, and make leather armors, or scrap metal into metal plates. Not sure if many would be interested in such a system tho. Would have to be a station that could smelt, and tan hides. Increase armor variety of other factions: Outcasts, Enclave, BoS, Regulators, Khans. 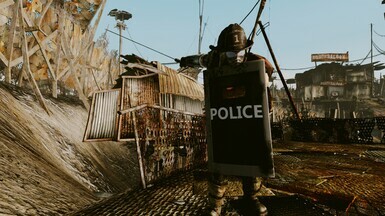 I'll be leaving most of the NV Factions armor lists alone, I use Dragbody's NCR Trooper Overhaul and his Caesers New Regime. Both are extremely well done, so I feel no need to mess with them. I may alter their weapons lists tho. DLC Weapon and armor integration, where appropriate, judged by me, open to hearing problems with these if you have a good reason. Make credited author section more specific. Q: Can you make xxxx armor or weapon? A: Probably not, as I'm pretty satisfied with the variety I currently have, but hey, can't hurt to post your ideas. Q: This mesh/texture is missing! A: That's not a question. 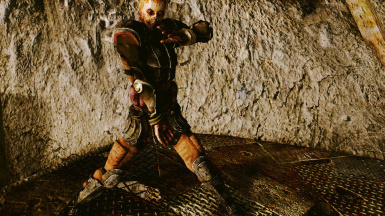 But leave the name of any armors or weapons that are acting strangley, and I'll get it fixed. Q: Can you make a version without xxxx? 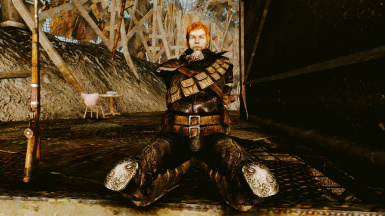 Q: Is this mod lore-friendly? A: I believe so, yes. In the sense that nothing should contradict lore. I'm not a lore-monger though, so let me know if something slipped through.